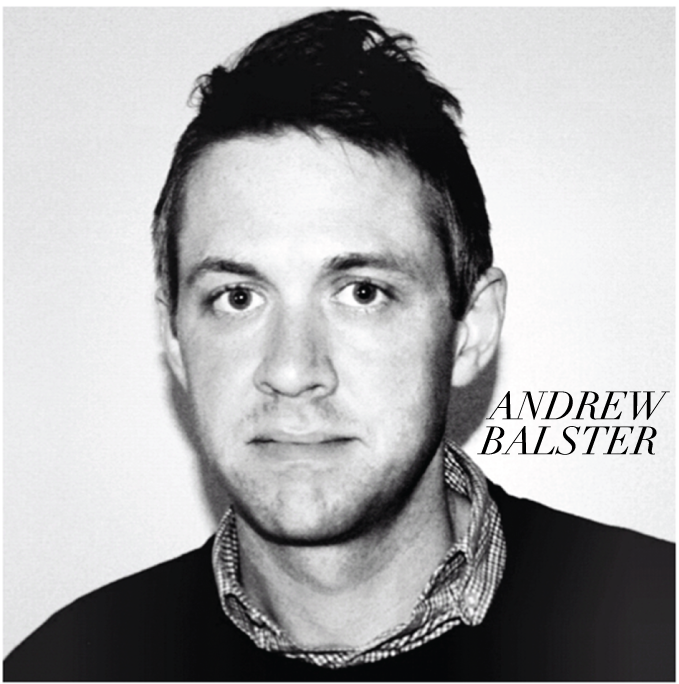 Andrew Balster is the Program Director of the CHICAGO STUDIO, an educational design studio out of Virginia Tech School of Architecture and Design. The program embraces a dynamic environment, with fields of interest ranging from landscape urbanism to architecture. This year, CHICAGO STUDIO focused on creating adaptive re-use design concepts in the Uptown neighborhood. Andrew was honored by the Public Interest Design 100 as an architect and urban planner intersecting design and service. In practice, Mr. Balster has worked on projects that are broad in typology – ranging from small civic centers to super-tall towers to entire urban districts. He has considerable experience in large-scaled and complex projects, with particular focus on developing markets. Before joining Virginia Tech, he was a Senior Designer at Skidmore, Owings & Merrill (SOM) Chicago for multiple national and international projects. Prior to SOM, he worked at Make Architects in the UK and Blu Dot in Minneapolis. Q: What inspired your career? A: In many ways I am not sure I have actually found a career. I grew up in Milwaukee’s inner city, and from a young age I have been in love with the idea of the city. Its energy, exchange, culture, and noise. So not understanding it at the time, I had an obsession with urbanism. In my undergrad, I took classes on urban studies and randomly took a design class. It was the first time I felt comfortable communicating my thoughts, so in the end I suppose the methods and act of representation was the reason for further explorations. Q: Can you tell us about CHICAGO STUDIO? A: It is a resource. CHICAGO STUDIO creates relationships and discussion that otherwise wouldn’t exist. 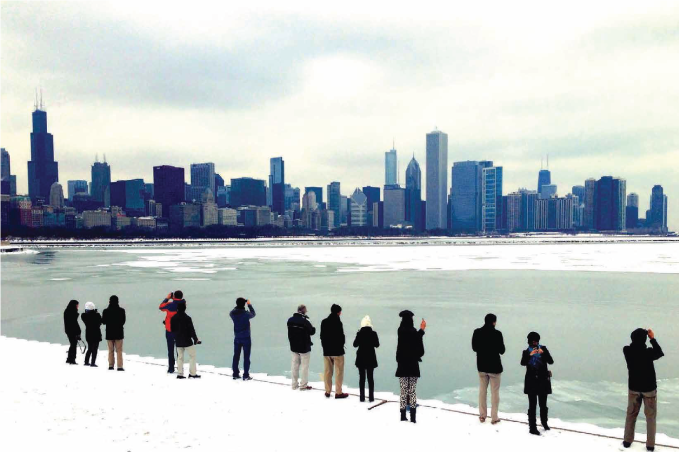 The program allows for an ‘active curriculum’ meaning outside of the basic scheduling structure, the program reacts to real situations in Chicago’s built environment. We hope to become, and I think we are, a think-tank for the city. The students meet with representatives from the mayors office to local leaders to residents in communities. Their work is pushed far beyond just good architecture projects. It’s informed and guided by engaged professionals, and it provides something for the major stakeholders in Chicago to come together to discuss. So it’s a catalyst for discussion rather than a solution to a problem. Look at what’s happening in Washington right now. We need to actually sit face to face and discuss our future. Q: Does the ideal urban plan exist? If not, what would it look like. A: Utopia cannot exist because the city is never complete or perfect. The city is literally rebuilding, repurposing, and reconfiguring itself every day. An ideal urban plan may not be possible, but we should pursue excellence in any way possible, so yes, let’s work towards it. It would have to be a part of the local culture, not derived from it it designed for it?, adapting and strengthening the way people live, facilitating ways of sustainable consumption and transportation, and most importantly, follow the natural ecological cycles and systems of the region. Q: How did you become interested in re-use concepts? A: Re-use and repositioning is the most sustainable method of building in architecture. It is also incredibly important in retaining the physical identity of neighborhoods. This is something that Europe has known for centuries and why people love it. But we can have that here. I think Chicago’s rich architectural legacy demands looking at the existing building stock as opportunities to reimagine and not to replace. Q: What are your plans/hopes for the Uptown neighborhood? A: Uptown’s character was established in an amazingly strong cultural boom in Chicago, then almost froze in use and redevelopment for decades for a variety of reasons. What has been left is a building stock with unbelievable history and character. Future generations need this area intact. Architecture is what Chicago is known for, so we need to realize that our history is deeply present in it and that Uptown holds countless relics worth reusing for generations to come. A: We have partnerships in Uptown at sites in Wilson yards, the Gerber Building, the vacant and underused lots of the Broadway Bank adjacent to the Lawrence station. We are also working on a master plan with SOM’s pro-bono support in Chinatown. Both Uptown and Chinatown have been extremely engaging, from local residents to community leaders, to community advocacy groups. This semester is focused on increasing density around L stations, and promoting multi-modal transport hubs. We are interested in the future of the city and city design that diminishes the need and influence of the automobile.